Nakada had been fighting colon cancer since last summer. A donation is currently underway to collect funds for his family to pay Nakada's remaining medical bills and memorial services. Sad news in the gaming industry today, as we hear that Blizzard Entertainment's Ron Nakada, a senior software engineer, passed away in the early morning of April 2. Nakada, who joined Blizzard in 2006, had served as a programmer for World of Warcraft. 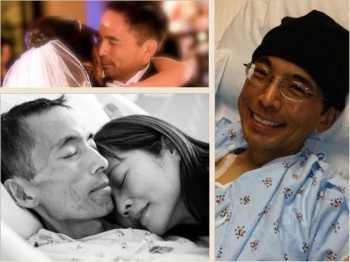 Nakada was diagnosed with stage IV colon cancer in summer of 2013. A fundraiser on the website YouCaring.com was posted this past December to collect donations for his medical expenses. The page is now collecting donations to help Nakada's family, including his wife and four children, pay his remaining bills and memorial costs. The fundraiser site was organized by John Alvarado, of inXile Entertainment, who broke the news of Nakada's passing. "It is with deep sadness that I report that my dear friend Ron Nakada passed away yesterday at 2:48 a.m.," wrote Alvarado on April 3 on the fundraising page. "He was surrounded by family during his final days and hours, with a great many friends coming to visit him at the hospital." Alvarado wrote that he and Nakada had been friends since the 7th grade, both learning programming together and doing contract work for Shiny Entertainment and Interplay during the 90s. As of this writing, the fundraiser has currently collected just under $34,000 of its $50,000 goal, with 36 days left to go. If you're a Blizzard fan, or just want to help a family in need, head over to the site here and pitch in what you can.